Looking for the best garage door lubricant to use on your garage door and opener? You’ve come to the right place! Check out our list of the top four best garage door lubricants of 2018 and much more! Here’s a little secret, You may want to check out the section on how to make a homemade garage door lube further down in the article. Moving on, here are our top four picks for the best garage door lubricants. 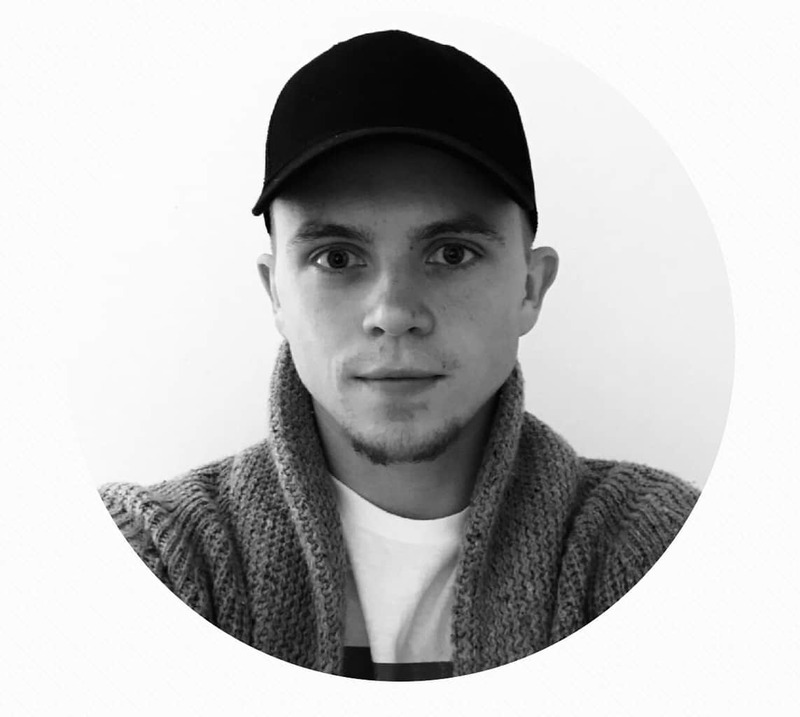 Read about them and see for yourself! 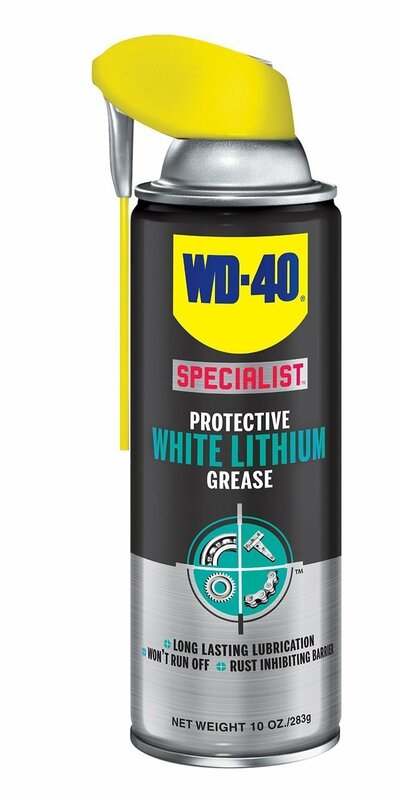 Number one pick for best garage door lubricant of 2018 definitely goes to WD-40 Specialist White Lithium Grease. With that said, not everything is perfect. After applying this lubricant we did notice it would leave sort of a white splotch in the area sprayed. When using this on a garage door it may not be a huge deal, however, if you want it to look good at the same time you may want to consider a cleaner option. Number two pick for best garage door lubricant of 2018 goes to Dupont Teflon Silicone Lubricant. This is definitely a top contender for best garage door lubricant of 2018. The only thing I might otherwise use is the homemade lubricant mentioned further in the article. Number three pick for best garage door lubricant of 2018 goes to Blaster Garage Door Lubricant. >> At 9oz in a can and more expensive than options one and two that alone puts this one further down the list. At number three for best garage door lubricant, it comes as no surprise that Blaster garage door lubricant is messier than other garage door lubricants. 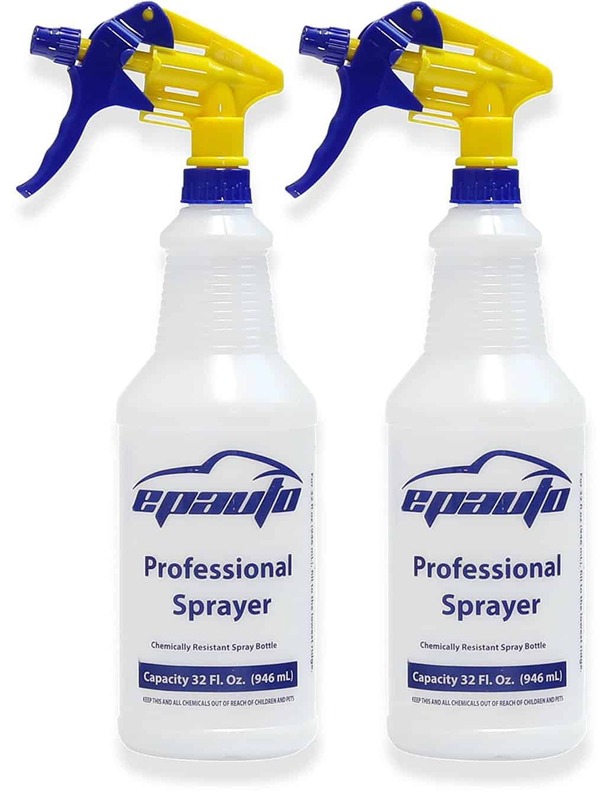 The seemingly faulty spray nozzle design is also something you might not like. Consider options one or two before you buy this one. 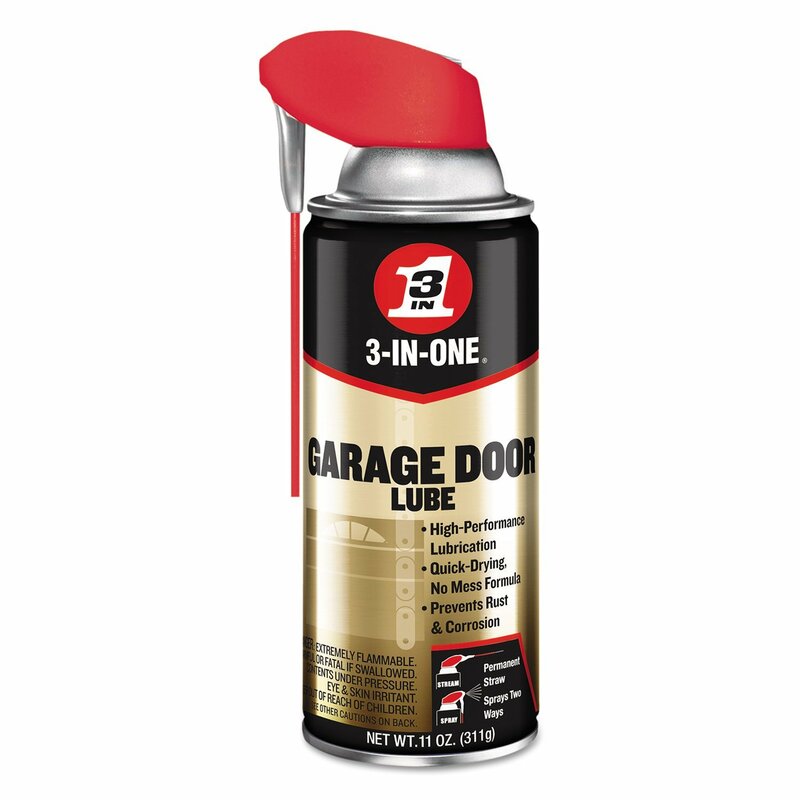 Number four pick for best garage door lubricant of 2018 goes to 3-In-One Professional Garage Door Lube. This garage door lubricant was placed at number four because of the low review count in addition to being the most expensive. However judging by customer reviews this may become one of the better ones to use in the future. Especially if the price takes a dip. I’d stick to the home made garage door lubricant or one of the other three on this best garage door lubricant of 2018 list. 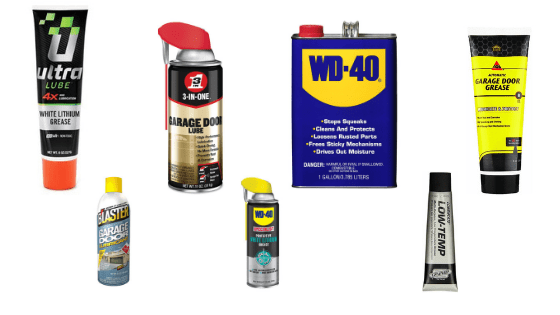 As you read above, I chose four excellent garage door lubricants and showed you why I ranked them the way I did. Despite all the good I wrote about them all, there is a secret option I haven’t shared with many people. Homemade garage door lubricant and why you should be using it! 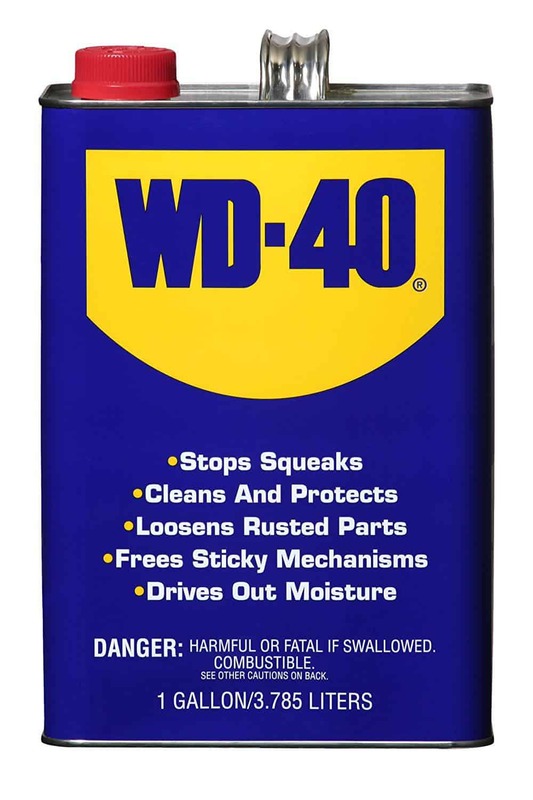 After working as a garage door technician for close to a decade, I have personally found that WD-40 is an excellent lubricant, however dries out much too quickly for any serious lubrication. I’d been taught to mix the WD-40 with regular 5W-30 or even 10W-30 car oil! Yes car oil, believe it. This prevents the WD40 from drying out too quickly and does an excellent job of lubricating your garage door hinges and rollers. What can be so good about it? Well for one you’re going to save money in the long run! Let me show you how exactly. A gallon of WD-40 runs roughly 20 USD. A cheap quart of 5W-30 will cost maybe 5 USD. Some simple math, 25 dollars equals about 160 ounces of garage door lubricant! That’ll last you a lifetime! 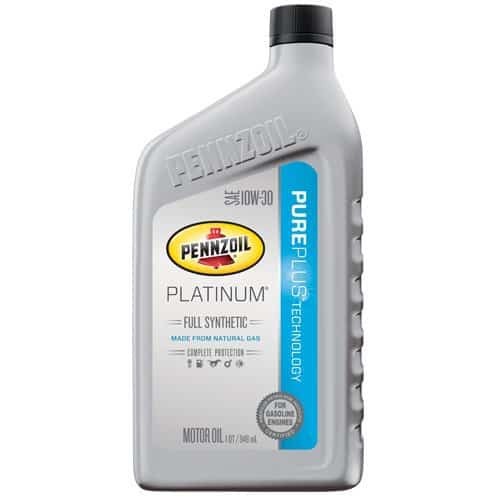 The cheapest garage door lubricant in our list was almost 6 dollars for just 10 ounces! Some more quick math. 160 ounces would cost you 16 (10oz x 16 = 160oz) times 6 (six dollars per 10oz) almost 100$!! Thats assuming you keep buying the cheapest one too! Ready for the exact recipe for making the best garage door lubricant in our opinion? Get yourself a spray bottle, a gallon of WD-40, and a quart of oil from your local home improvement store. You can also pick them up by using the links below. Pour the WD-40 into the spray bottle till its about 3/4 of the way full. Now fill up the the rest of the bottle with the 5W-30 oil (or equivalent). Shake well and you’re ready to go! Helpful hint, you can pour the remaining oil into the WD-40 and your gallon should be full once again and ready for future use once you need a refill on your spray bottle. 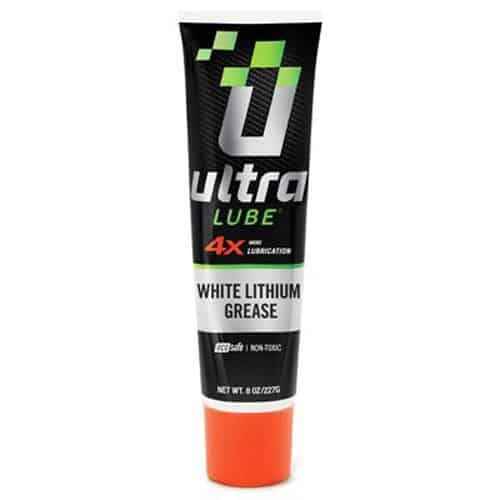 In my experience this truly creates the best garage door lubricant you can buy. Not only does it save you money but it lubricates your garage door like never before. I wouldn’t recommend using this on your garage door opener, nor would I recommend any of the lubricants in the list above. The best thing to use on garage door openers is a thicker white lithium grease, like the photos below. Now you know this well kept secret! Enjoy that 80 dollars you just saved! Why is it important to lubricate your garage door? Your garage door has a ton of moving parts that include metal, plastic or nylon and bearings. If these are left to mother nature you can bet on rust, corrosion, and metal fatigue to be something you will have to deal with. The changes are subtle at first but become more noticeable over time. Look for cracked hinges or panels as a sign that your parts need replacing. Keep all good parts well lubricated! Sometimes it gets so bad that you have to replace the entire garage door! Life is hard enough without these kinds of unwelcome surprises. Continue reading to find out when you should lubricate your garage door. How often should you lubricate a garage door? Another unsurprisingly common question I get at almost every job site. So do yourself a huge favor and lubricate at least every season. That’s winter, spring, summer, and fall. These times are when you see the biggest dips and spikes in temperature and the most likely time your metal will fatigue and crack or begin to crack. Lubricate all moving parts including rollers, hinges, pins, bearings, opener railing (what the carriage travels on), and if your spring isn’t too old you can lubricate that as well! Now you know about why you should and when you should lubricate a garage door, as well as what the best garage door lubricant is. Pick some up and I wish you happy maintaining! Thanks for reading! Hope this article was informative / helpful. Leave a comment/share this with your friends if it did make an impact or help you. 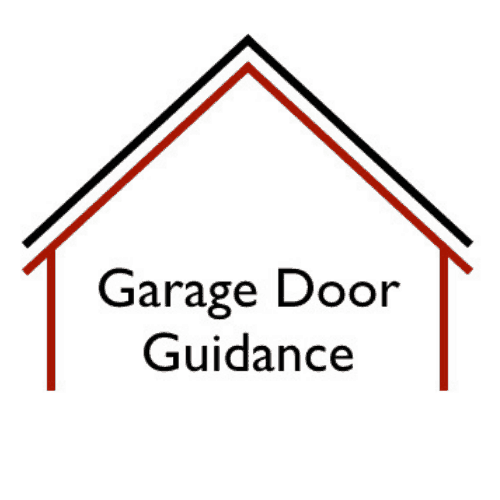 Follow Garage Door Guidance on social media by using the buttons in the footer.